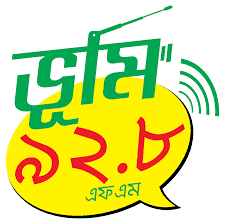 Radio Bhumi 92.8 FM Live Streaming Online . This is a 24 hour private radio station in Bangladesh. The station began transmission on 30 September 2012 . It Broadcasts Bangla Music, Culture and Emotional event like sports . It is tagged by ‘Biswashey Bangladesh’, Strongly determined to stick into the root of Bangla Music, Culture & Emotional event like sports. Address: 40, Shaheed Tajuddin Sarani, Tejgaon Industrial Area, Dhaka.